In 2016, when Instagram first introduced Stories, you could only publish content from the last 24 hours of your camera roll. For many people, particularly business owners with limited time, this often made Stories unusable. 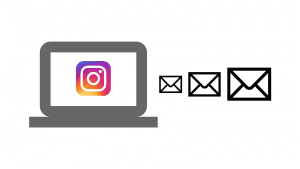 If you wanted to post an Instagram Story every day, which according to the Instagram algorithm is something you should be doing, this limitation required you to always be making new content. However, thanks to an update in 2018, you can now add camera roll to Instagram Stories regardless of when the content was created. Start by opening the Story publishing area. You can open the Instagram Stories by dragging the whole page to the right. You can click on the camera icon on the top left of the screen. Once you’ve accessed your Stories, swipe up to see content from your camera roll. 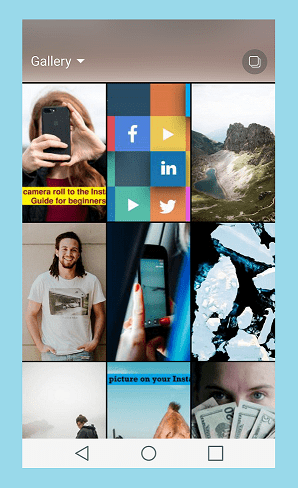 From here, simply choose any photo or video that you want to publish in your Instagram Story. 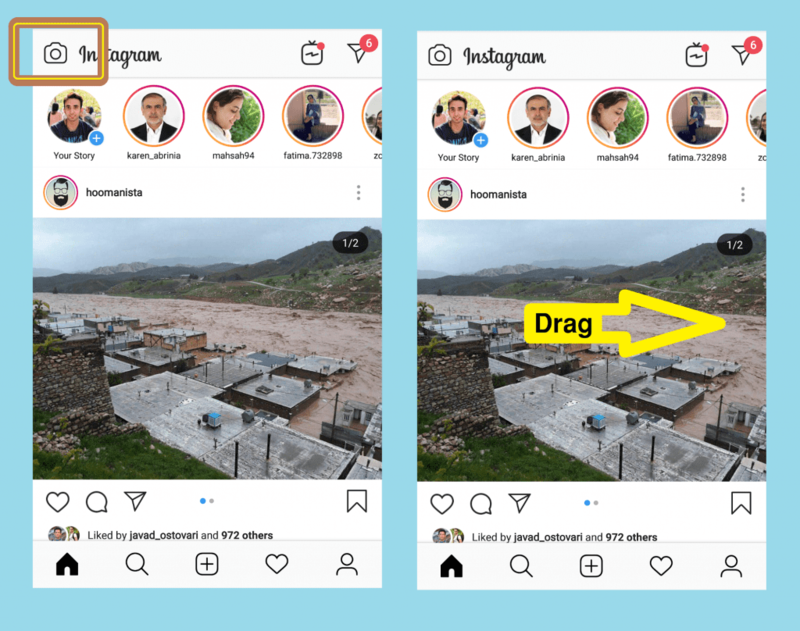 The “Select Multiple” option allows you to choose several photos or videos from the current screen to upload at the same time to your Instagram Story. The “Gallery” option, when tapped, will reveal a dropdown list. 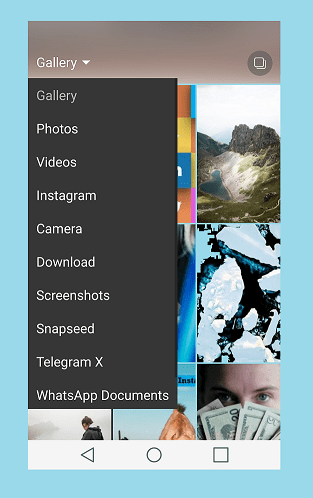 From this list, you can choose specific folders on your phone that contain the photos or videos you want to publish in your Story. If you simply want to see all photos and videos that exist on your phone, you can just select “Gallery” from the top of the list. The “Gallery” option shows all the photos and videos on your phone in chronological order. If you just want to see photos and videos that were taken with your phone, choose the “Camera” option from the list. Whether they were taken 3 years ago or 1 hour ago, from this screen you can choose photos and videos to publish in your Instagram Story. 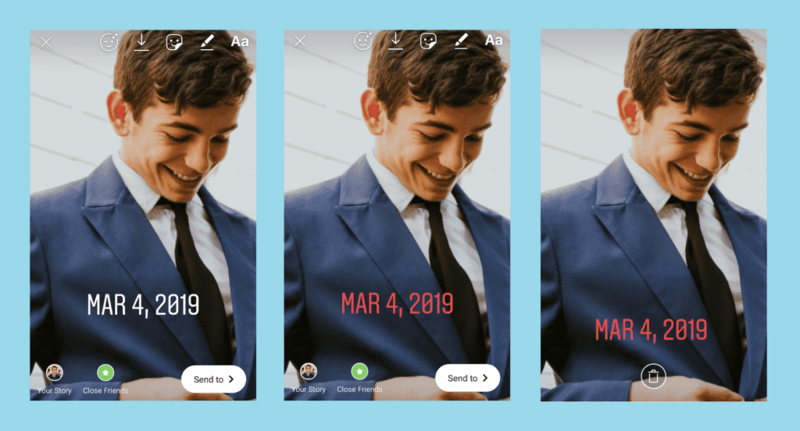 However, keep in mind that if you select a photo that is older than 24 hours, Instagram will automatically add the date the photo was created to your Story. This date stamp shows the day, month and year that the photo was taken. This date stamp will not be automatically added to videos. Fortunately, you can change the appearance of the date sticker by clicking on it. You have three color options: white, black, and red. The sticker can also be deleted by dragging it to the trash icon at the bottom of the page. Having the 24-hour limit removed from Instagram Stories opens up the doors for individuals and businesses to create higher quality Instagram Stories, more easily add photos and videos from their camera rolls, and schedule their Instagram Stories ahead of time. 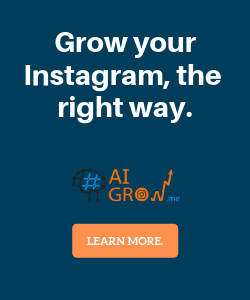 Now that you know how to add camera roll to your Instagram Stories, schedule your Stories ahead of time with a completetly free tool like AiGrow. 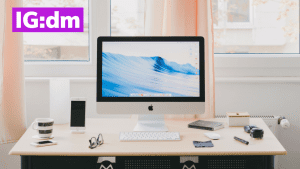 Not only does AiGrow allow you schedule your Instagram Stories days, weeks, or even months in advance, but it also allows you to post Instagram Stories from your desktop.